Spring is here! Join our community! I was home trying to decide what to wear for work. It was a special day at Report Bee and I wanted to look my best! By chance, I found a new salwar set to wear and got dressed quickly. I reached office at 8.30 AM. My colleagues, Jayashree and Siddarth were already in. Siddarth, pacing down the hall was trying to keep his cool. I could say he was nervous! The collaboration room was already filled with chairs. Lavanya, was running around to get snacks and tea ready, keeping the necessary stationery required and ensure everything else was in place! Me: Hi Mam, Can I help you? She: yes. Report Bee, right? I am waiting for my other friend to come. Me: Oh Sure mam! You may please come and sit inside. Smiles all over, I got back to my desk waiting for the rest to arrive. One by one they came, got seated and finally we were ready to start! Siddarth took over the stage and had the entire audience listening to him in rapt attention. That day, I learnt he could actually be loud when he wanted. Halfway through his presentation, slowly a few questions were being raised, discussions starting to take place and we had Ideas popping right up from this astounding audience! That moment we (and I speak for all RBians present that day) felt WOW! Our small dream was becoming a reality! A dream of having teachers, encouraging discussions among them, giving them a place to speak and share ideas, to make them feel like they were the most important person around! Report Bee launched its first teacher workshop for teachers on Data, decisions and beyond. 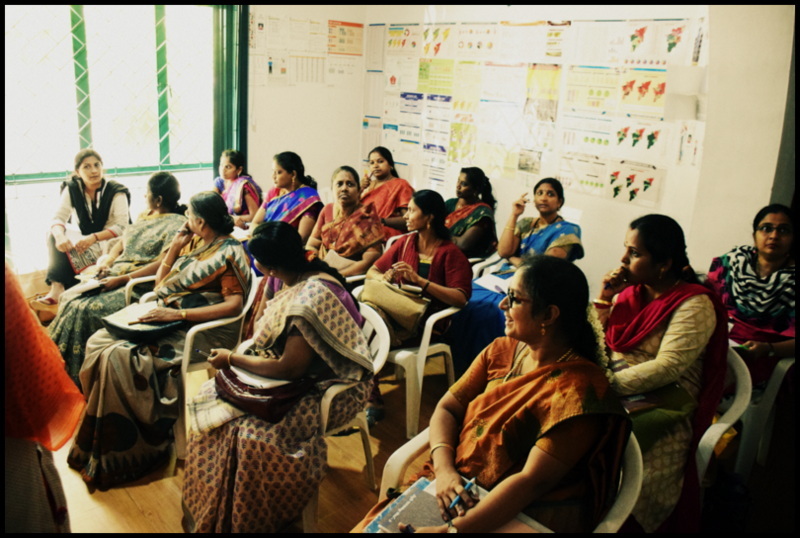 We had 15 teachers from various schools across the city attending the workshop. 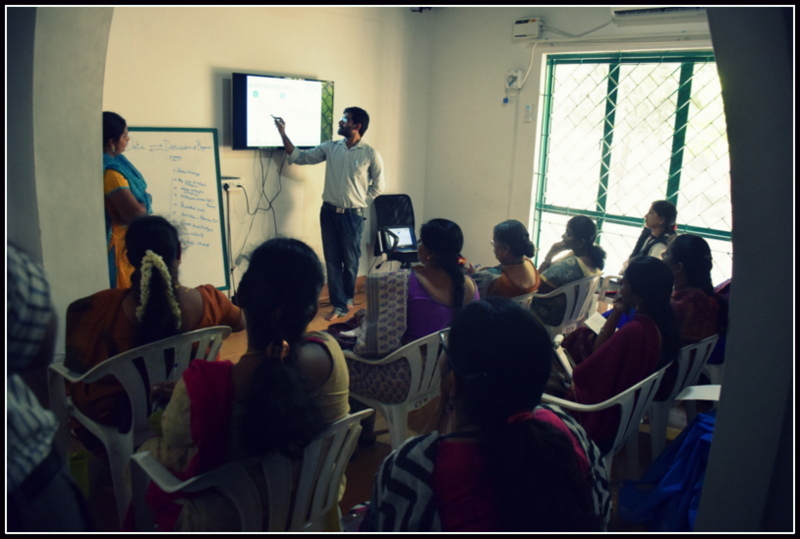 Through this workshop, teachers learnt the importance of data, how decisions can be made with the help of data and learn the difference between intuition and data driven decision making. 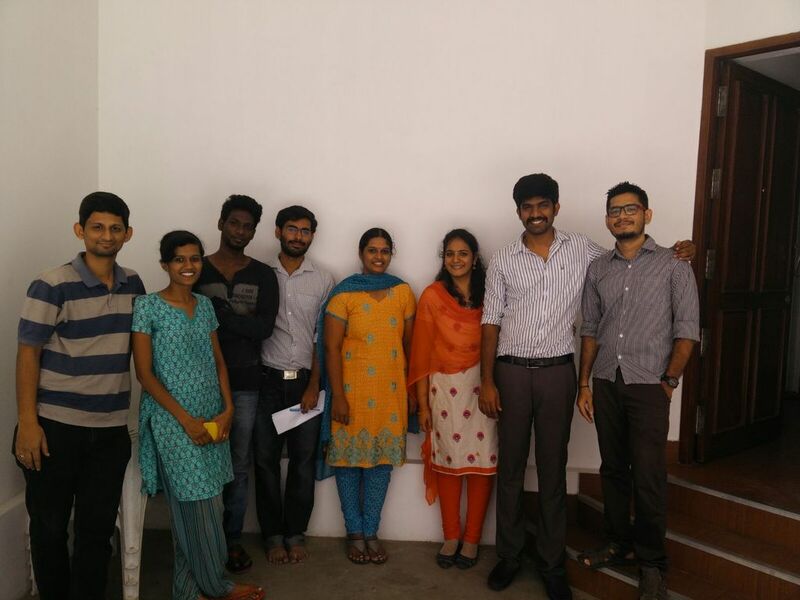 It was important that we, from Report Bee conducted this workshop. 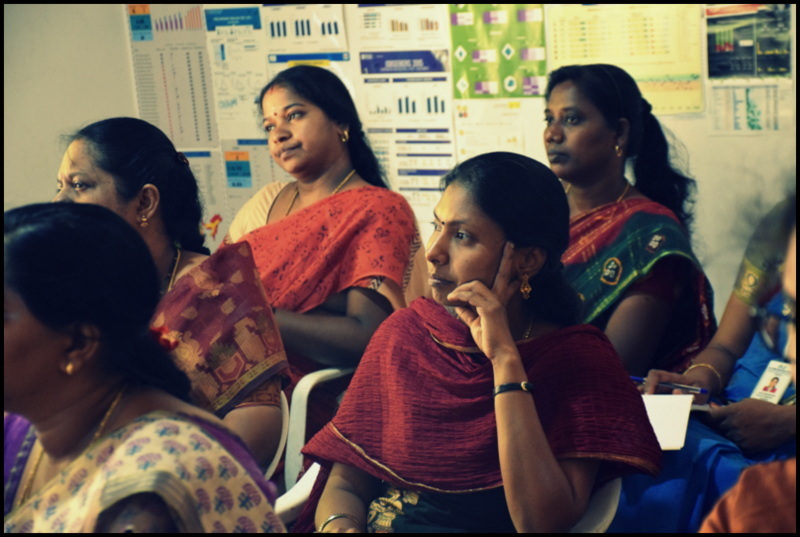 When we say ‘we are a data visualization company, we have close to 8000 teachers using our product’, it goes without saying that it is in our hands to ensure that they understand the importance of our product in full and reap it’s benefits! A small thought became a dream and grew to be a reality. Today, Report Bee can proudly say, we help teachers to discuss, ideate and learn with one another. We are a community. We are a team. Join us. Help us blossom. After all, spring is indeed here! Making data useful to teachers begins with honest connect with the teachers. These workshop reflect the true spirit and culture of Report Bee. Being truthful to Teachers, Principals and Students. Congrats team! Perfect start for this year, let the 15 turns to 15K. Spring signals the birth of life and this workshop is the birth of a yet another Report Bee Special. Teachers have been our ardent supporters/users. Workshops such as this are going to make them Innovators. They will be the first to understand data better. And i’m sure they are going back to their respective schools with renewed interest and enthusiasm about Report Bee. This interest will be infectious and will spread among fellow staff members, cementing their place in the school as innovators. Brilliant stuff. I’m hoping this workshop becomes a regular feature of Report Bee. Looking forward to reading more on such workshops.